This “L” shaped design fits your bedroom corner for a space-saving way to sleep three! 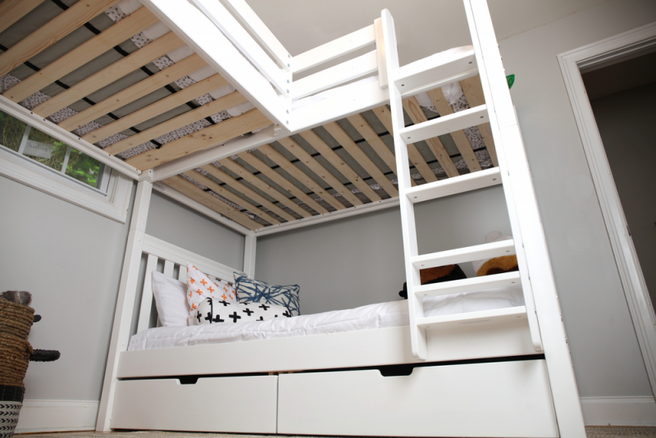 High height = extra headroom between stacked beds and more clearance beneath the loft. Customize free space for storage, study or play. Safe + sturdy ladders on both ends provide dual points of access to top. 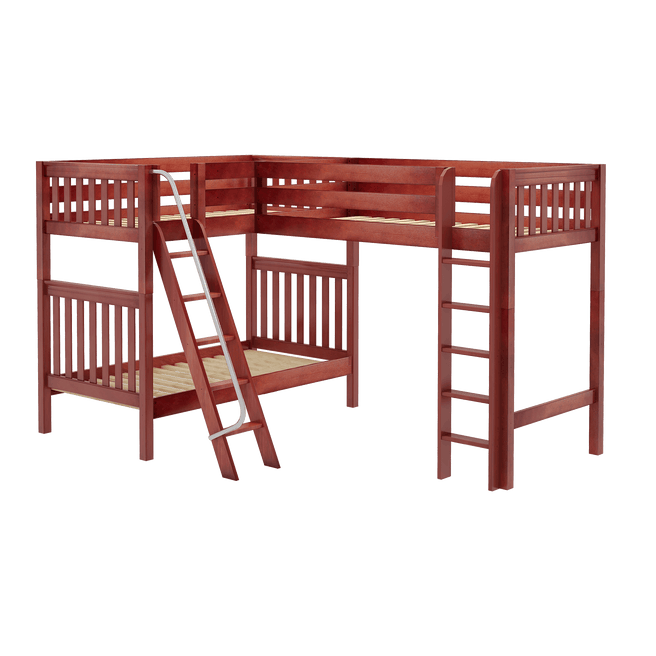 Our high corner loft bunk is just that – two beds stacked on one side connected to a single raised bed on the other. 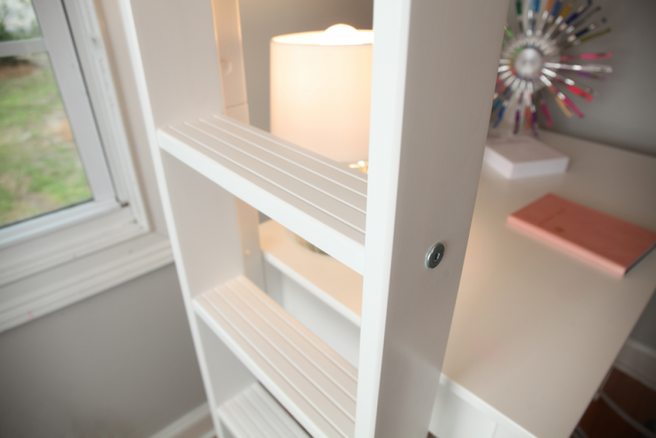 The result is a super functional “L” shape that fits perfectly in your bedroom corner. Customize based on your needs. 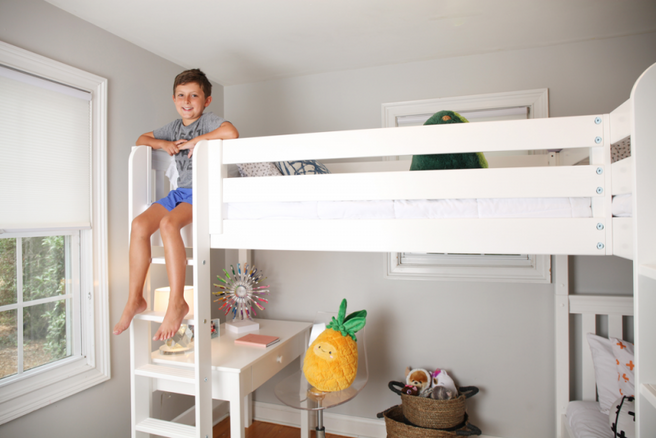 Turn open space into a study nook, fill with storage, or leave free for playtime. 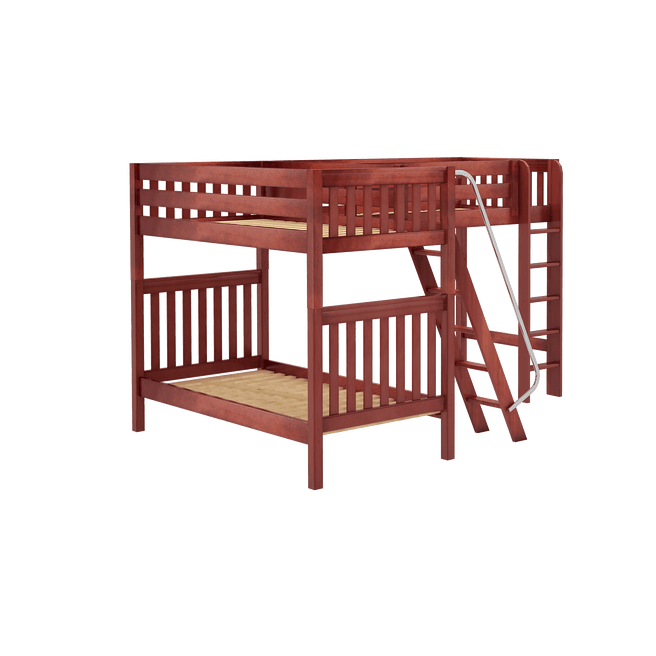 You can even sleep a 4th by adding a trundle bed to the lower bunk! 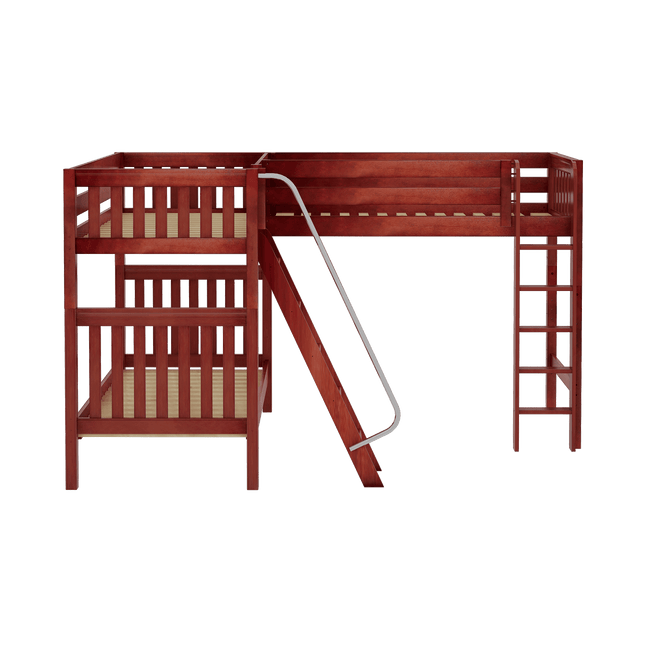 Solid wood ladders on both sides with extra wide, grooved steps for safe + comfortable climbing. NOTE: Bed can be assembled mirror image .